Bill Pay As An Experience – Not a Transaction. Leaders turn to us to offer a convenient, positive, and consistent payer experience. They know a great experience leads to a great return. The future of bill pay starts here. One platform comes with all the features your business needs to adapt, grow and evolve in order to meet the expectations of today's experience-driven world. Our customers are small, medium, and large enterprises. Traditional enterprise software and communication channels are broken — high costs of management, rigid infrastructure, and a lack of innovation. 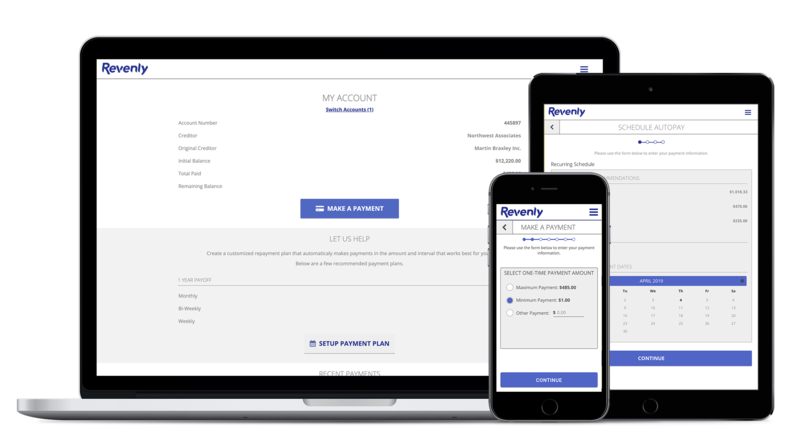 Revenly gives you a multi-channel, consumer-facing platform with unmatched scalability that delivers an easy to use experience at lightning speeds. Instead of worrying about how to keep up with today's fast-changing landscape, we provide you with the platform that does it all for you. Automate everything from payments to communication. 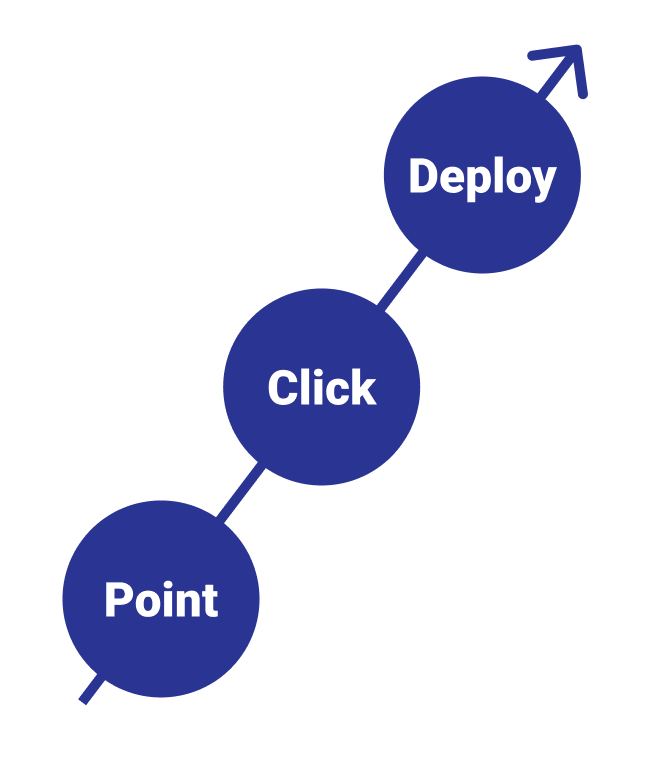 Configurable rules by state, creditor, and channel with our 'Point-Click-Deploy' framework. Customize the entire user experience. Add your own company logo, colors and domain name in under 5 minutes with our fully white-label solution. Add, update, and manage with zero downtime. You and the consumer see positive change happen in real time across the entire platform. Today's consumer demands an integrated, seamless experience regardless of the channel. Our approach to success has helped clients stay ahead by delivering consumer preferences in real time. We continuously improve performance so you can grow your business, instead of worrying about catching up. "We discovered that highly regulated businesses dealing with 1st and 3rd party data had a big problem adopting new technology. The system was broken. At Revenly, we developed a first class SaaS platform to give businesses a managed solution that delivers a user experience bill payers love. We deploy the Revenly platform on a hybrid infrastructure that satisfies compliance requirements in highly regulated markets where consumer data protection matters most." Revenly is Software as a Service on Hybrid Infrastructure. We are dedicated to speed, reliability and meeting compliance requirements across highly regulated markets. Your platform can be deployed in hours, not months. Revenly maintains the performance and monitors risks around the clock to keep your business secure while increasing your collection efforts, autonomously, 24/7. Welcome to the Experience Age.